This is a follow-up to my last post about small Stirling engines. This video shows one that might be the world’s smallest. It was made by Günter Bettinger, who has a web site which shows some of the very beautiful and interesting engines he’s made. It’s in German, but you can see Google’s English translation of it here. By the way, Günter is a paraplegic. 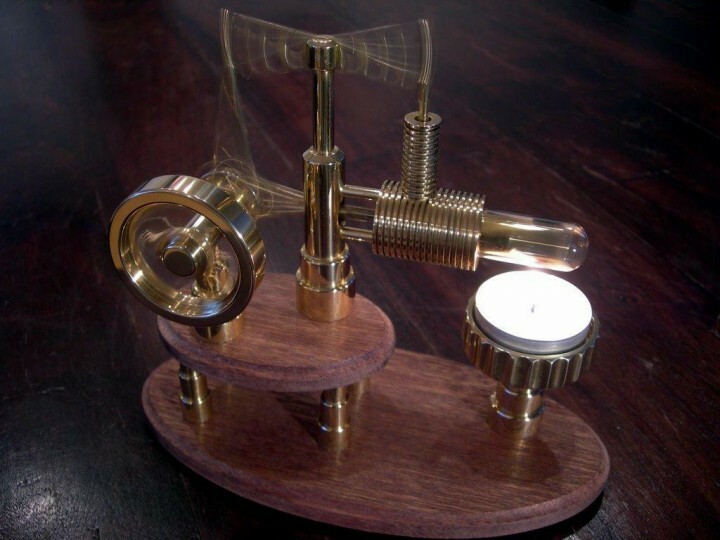 This is Jan Ridders’ newest Stirling engine. It’s so small it uses a 1 Euro coin for the flywheel and a couple of 5 Euro cent pieces for the top and bottom plates of the displacer cylinder. Jan will tell you that he got the idea for building a micro- engine from a Swiss artist who goes by the name “jovallmen” on YouTube. His engine uses a couple of Swiss 5 centime coins and it may be even smaller than Jan’s. You can see a video of it here. As usual, you can get a set of free CAD drawings for this engine by visiting Jan’s web site and requesting a copy.